Welcome to those coming from Capturing Magical Memories! 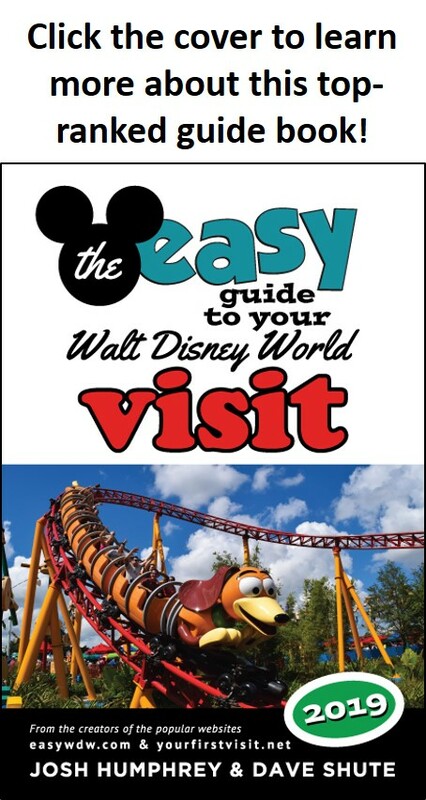 Enjoy the ride as this month Magical Blogorail Teal discusses our favorite Walt Disney World resorts! One of the earliest notes about this site elsewhere on the internet was from an appalled blogger. In the summer of 2008 she wrote (I can’t find the link, but hey, I didn’t try very hard!) that she was stunned by what to her seemed the lack of logic in my notes on rides that might be skipped. What made her head explode was that I noted that some rides that could be skipped by first time family visitors, like Carousel of Progress, were also among my personal favorites. Well, I have no trouble holding two contradictory ideas in my mind at the same time! The recommendations on this site come from principles, not personal taste, with the principles chosen to apply to as many first time visitors as possible. They are based on a combination of facts, analysis, inference and judgment about what would be best for such families. My personal taste can lead to very different conclusions. This is particularly clear when it comes to the Disney World resort hotels. I recommend hotels for first-time visitors who may never return (among price classes) based first on their kid appeal, and then (as a tie-breaker) on their convenience in carrying out this site’s itineraries. My personal favorites are very different than the resulting recommendations. The list below has, by price class, my top-ranked resort for first-time family visitors as well as my personal favorite. In only one case are they the same! So ignoring price, which among these personal favorites do I like the best? Well, that’s easy. It’s Old Key West. 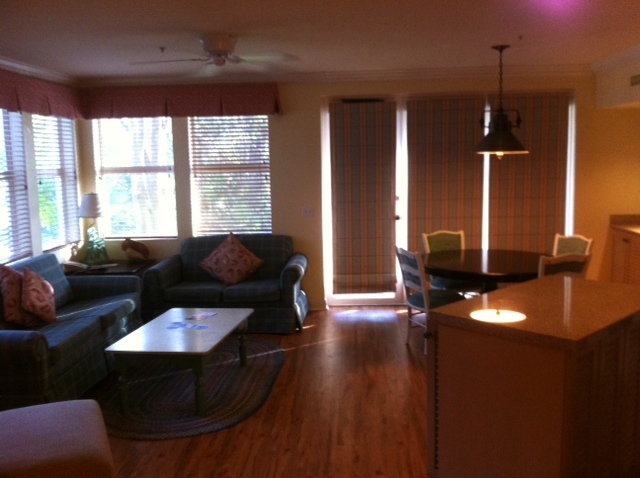 The reason is simple: one and two bedroom villas at Old Key West are by far the most livable spaces at Walt Disney World. They are so large and homelike that they provide a wonderful respite for the family. 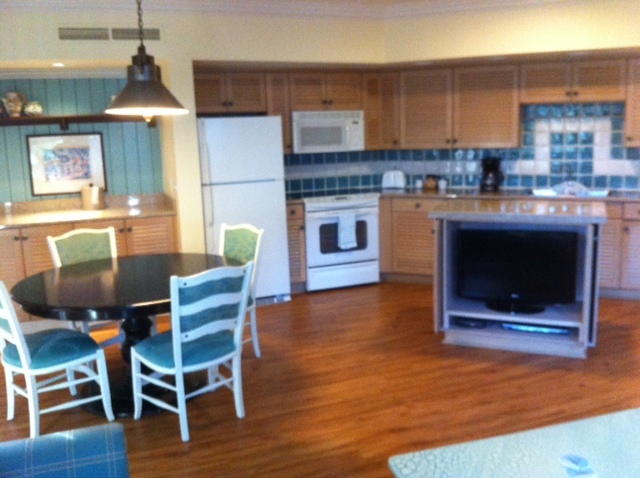 The living dining, kitchen and balcony spaces at Old Key West are so much larger and more home-like than the other Disney Vacation Club Resorts that it’s almost like Old Key West villas should be a separate resort class. 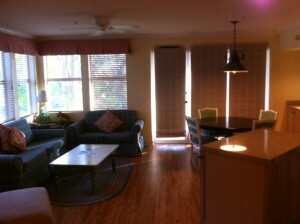 And they are the same price, or cheaper, than the other DVC villas as well! There are some real issues with Old Key West. Dining is weak and limited, and the resort is so spread out that I wouldn’t even consider staying there without a rental car. But for us, it’s our favorite. We stayed there just last week, and found plenty of room for a Christmas tree! Thank you for joining me today. Your next stop on the Magical Blogorail Loop is Jenn’s Disney Babies Blog. You really are quite a contradiction in terms! 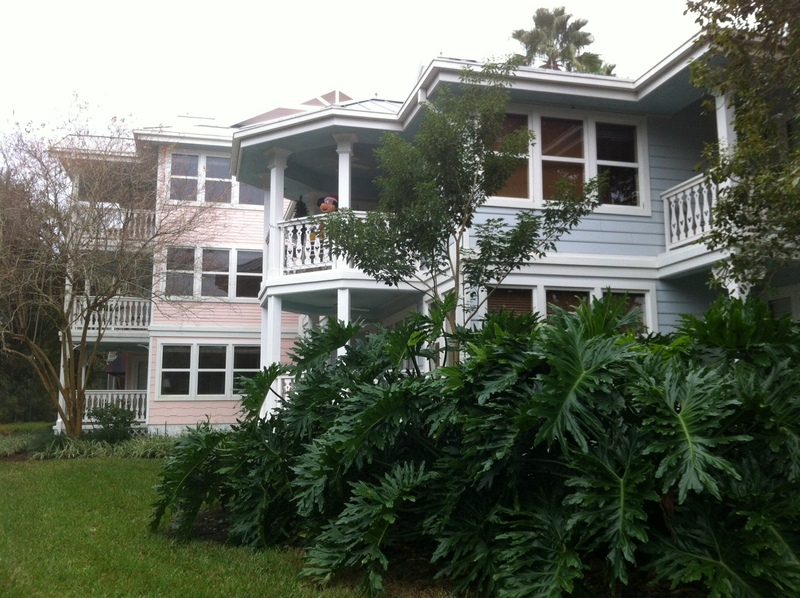 I would never recommend CBR to anyone – had a terrible stay there in 2010, but I know so many that love it… We’re staying at OKW in a 2 bedroom in February. It will be amazing after my parents leave and 4 of us (including a 3 year old and 10 month old) are splitting all that room! Like you the resorts I prefer and then recommend are different. This year I have become a HUGE fan of All Star Sports. So you cause brains to explode as well! I haven’t stayed at Old Key West but I have floated past it on the boats from Port Orleans to Downtown Disney. 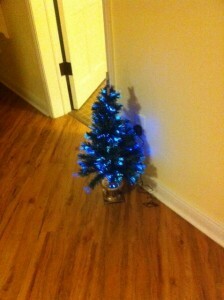 It looks so quaint and relaxing. I think we need to plan a stay there one of these visits! OKW is one that we’ve never even stopped to visit. We’ll have to take a closer look next time we’re in the area. Okay, I’m curious. Why Port Orleans French Quarter and not Riverside? We stayed at POR this past spring and just fell in love with it, and it seemed a bit more well-appointed than POFQ. BTW, although you’d recommended CBR and I’d made reservations there for us for next year, I decided to switch back to POR after reading more about the bus issue (my kiddo has the patience of a gnat), and a surprising number of complaints about the rooms themselves. Plus, we really loved having access to Downtown via the ferry, and being able to go exploring in the SeaRays. Hi Jennifer! The reasons why it’s my personal favorite are here: https://yourfirstvisit.net/2010/10/25/personal-favorites-the-moderate-resorts/ But tons of people have POR as their personal favorite, so you aren’t alone in your skepticism! Your reasons made VERY good sense! Then again, your advice always does!!! Thanks again for this fabulous site!!! The songs I would pick for a high school dance would be different than my personal favorite songs so it makes complete sense that number one picks for a first time visitor to WDW would be different than a frequent visitor and DVC owner like me. I always tell people that the resort your at sets a tone for the type of vacation you’ll have. 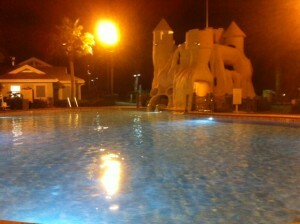 My favorites: Old Key West (building 56 to be exact) POR (love the many fountains and pools), All Star Music. I just stayed at ASM and Pop Century and the contrast is striking. ASM has pretty, mature foliage and tres. The resort is pretty at night. While staying in the 80s section and swimming in the computer pool, my 23 year old son and I commented how the concrete and buildings reminded us of a security compound of some kind. We own at the Polynesian and I almost equally love staying there, the Contemporary, and Beach Club. Nothing is better than being able to walk to the MK or Epcot. KenR, you are a very sensible person! Thanks for the comment. 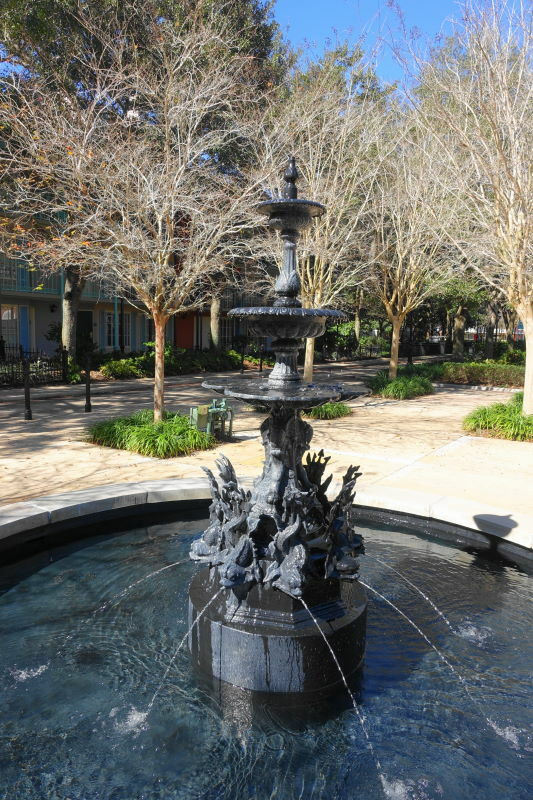 A question, though–the Port Orleans with the most fountains is POFQ (image of one below)–is that what you were thinking of?